Today Amazon have released a new version of their Kindle for iOS App (3.0.1). This must be a direct response to some feedback I have sent over after the last update (3.0 for Retina and Amazon Cloud Integration). The previous update didn’t show new content after I had purchased it. I love my Kindle, and I love my content. And I love the Kindle App on all my other devices: I can read on anything I happen to have with me: Kindle, iPad, iPhone, Laptop. That rocks! Here’s a slightly annoying email thread I had with Amazon’s low level support who clearly didn’t understand the issue I was bringing up – from one developer to another. I think I found a bug with the new version of Kindle for iOS. Let me explain what’s happening. I have bought a new iPad yesterday (the one with Retina display). I’ve previously had an iPad 2 and the Kindle for iOS worked great. I have registered my new iPad as a new Kindle on my account so both my iPads show up correctly. However, new content does not show up in the Cloud tab in the device. Note that this problem did not occur with the previous version of the app. I still have it installed on my iPhone and new content correctly shows up. The only way I can get new content in the new version is by uninstalling and reinstalling the app. First, please allow me to apologise for the inconvenience this matter has caused. If you can’t find your content on the Kindle for iPad reading app after upgrading to version 3.0, try the following troubleshooting steps in order. With your app open, sync the app by pulling down the Home screen (swipe your finger downward). To check for content, tap the Cloud tab at the bottom of the screen and tap “All Items” in the upper-right corner of the screen. (on iPhone and iPod touch, scroll to the right to see “All Items.”) You should then see all content in your Kindle Library (archives). Tap Device to see all items downloaded to your device. Confirm that your wireless data service or Wi-Fi is enabled on the device and that status indicators show an active connection. Open the reading app and log into your Amazon account. On the Kindle app Home screen, tap the Settings icon (the cog) in the lower-right corner. (On iPhone and iPod touch, then tap “i.”). Sync your app and check the Cloud tab again. 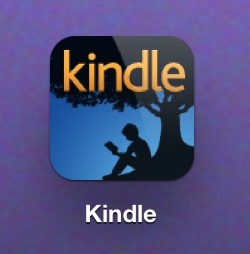 On your device Home screen, tap and hold the Kindle app icon until the icons start to shake. Tap the “X” icon on the upper left-hand corner of the icon. Tap Delete to confirm app and content removal. Open the App Store on your device and search for “Kindle.” Reinstall the app, sync, and check the Cloud tab again. Not satisfied with this, and since they’re asking nicely “did this solve your problem”, I felt compelled to answer back. Jay is a medical miracle known as Super Survivor. He runs two YouTube channels, five websites and several podcast feeds. To see what else he's up to, and to support him on his mission to make the world a better place, check out his Patreon Campaign. Hey Jay, if your Kindle is giving you fits, try the Amazon Cloud Reader at http://read.amazon.com. I don’t have a Kindle, and I’m working my way through an awesome series on the Cloud reader (“Caged Flower” by Cullman Wallace, YA fiction but so entertaining that the 60+ years old women in my office are hooked on it). The Cloud reader works great, and while I’d still rather hold an actual hardcover book in my lap and read under a single lamp on a cold night, that Cloud reader will satisfy some cravings in a pinch. Be sure to check it out! That’s an awesome tip – thank you very much for bringing this to my attention. I had never heard of the Amazon Cloud Reader before – it’s surprising because Amazon are usually bombarding me with emails about their products from both sides of the Atlantic. I just tried to sign in with my Amazon UK account, half suspecting it would say that this service won’t work unless I use an Amazon US account – but I was greeted with quite the opposite: all my content was there, just like on my Kindle. So the Cloud Reader basically eliminates the need for a separate app to read content. No matter what device you have, the Cloud Reader just works – any tablet, any computer, as long as there’s a web browser on it we can read our Kindle purchases. Thank you so much Nick! Well, ONE small issue with the Cloud Reader. Like first through third generation Kindles, it uses the old Mobi Pocket format. If you read something created in Kindle 8 format, you may have some issues. If you’ve bought Book Three of the “Caged Flower” series, two things. First of all, thank you! Secondly, you may need to delete and download it again. Amazon hopefully will provide a device/software update soon that will enable your device to read the new Kindle 8 format, but in the meanwhile, I’ll work to make sure you can enjoy the “Caged Flower” books on ANY device. I sent him a message about it, and he said that he downloads all his own books to check for errors and formatting issues, and that he had trouble with “reverse italics” (some chapters in the book are flashbacks and completely in italics, and he would switch back to non-italic text for emphasis.) He said plain text inside those italicized chapters remained in italics, and there were several places where it completely ignored indented lines. Kindle devices, the Cloud Reader, and the preview function when publishing a book all had the same issues. I found another issue with the cloud reader: thinking it would be the perfect workaround to read my Kindle content in the browser of my B&N Nook Tablet, I was met with the message “this browser is not supported”. Shame that! Would have been best of both worlds. Q: Will KF8 capabilities be available on all Kindle devices? A: Kindle Fire is the first Kindle device to support KF8 – in the coming months we will roll out KF8 to our latest generation Kindle e-ink devices as well as our free Kindle reading apps. Their next answer in that FAQ says that Kindle 8 will be backwards-compatible for Mobi format books. The new features in Kindle 8 do look awesome, though. HTML5 and CSS3, embedded fonts, even Adobe’s SVG graphics format. I imagine for most books, you could get pretty much the same results from both Mobi and Kindle 8, but Kindle 8 probably takes a lot of the headache out of it. I also see where they are releasing a beta Kindle Plugin for Adobe InDesign. The folks who don’t know much about HTML and CSS would probably quite like that, but I’d wager you the end result would be HUGE compared to one created by hand in an HTML editor like Adobe Dreamweaver. And since I’m told larger books cost more in “electronic delivery fees”, the pros would probably want to go lean and mean. As far as the Nook, did you REALLY think they’d let you get away with that one? @lazygamereviews Nice! I still have a QY20, still works - it was so cool do create "music on the go". Awesome memories! I never knew they made the QY70. Have fun!